The EHF Executive Committee, meeting in Umag, Croatia, has reached its decision on the teams taking part in the VELUX EHF Champions League in the 2014/15 season. Next season is the first with a new system for the distribution of places within EHF Champions League competitions. Only Germany and Spain have two places in the men’s competitions whereas other federations were able to request additional places. Nine requests were received for the 2014/15 season from the clubs: Pick Szeged (HUN), Orlen Wisla Plock (POL), Aalborg Handbold (DEN), Vardar Skopje (MKD), Gorenje Velenje (SLO), Paris St. Germain (FRA), Montpellier AH (FRA), Eskilstuna (SWE) and Junior Fasano (ITA). After evaluating these requests according a criteria that looked at venue, spectator, TV and marketing issues the following requests were granted: Pick Szeged (HUN), Orlen Wisla Plock (POL), Aalborg Handbold (DEN) Vardar Skopje (MKD), Paris St. Germain (FRA) and Montpellier Agglomeration HB (FRA). Junior Fasano (ITA) also received a place but in the qualification phase. The requests from Gorenje Velenje (SLO) and Eskilstuna (SWE) were not granted. However, given the on-going political situation in the Ukraine, the EHF Executive Committee decided that should the Ukrainian team, HC Motor Zaporozhye, not be able to play its home matches in the Ukraine, the club would be replaced by the Slovenian team, Gorenje Velenje. The German side SG Flensburg-Handewitt received an automatic place in the competition as winner of the 2013/14 season. 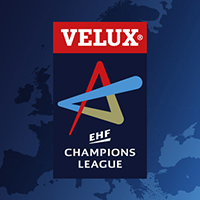 The VELUX EHF Champions League playing system will remain the same in the coming season. Three teams will qualify from three ‘final-four’ format qualification tournament to join the 21 teams already seeded in the Group Phase. The draw for the qualification phase will take place on Thursday, 26 June at 14:00 hrs and the draw for the Group Phase at 18:00hrs on Friday 27 June. Handball fans can follow the event live from 18:00hrs of ehfTV.com. A draw preview, playing system overview and seeding list will be published on Monday, 23 June 2014 at eurohandball.com and ehfCL.com.